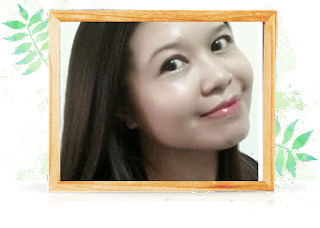 Continue my Bangkok Travelogue early February trip.... Check my awesome KhaoYai post HERE . After spending my time touring around KhaoYai, I travel back to Bangkok. 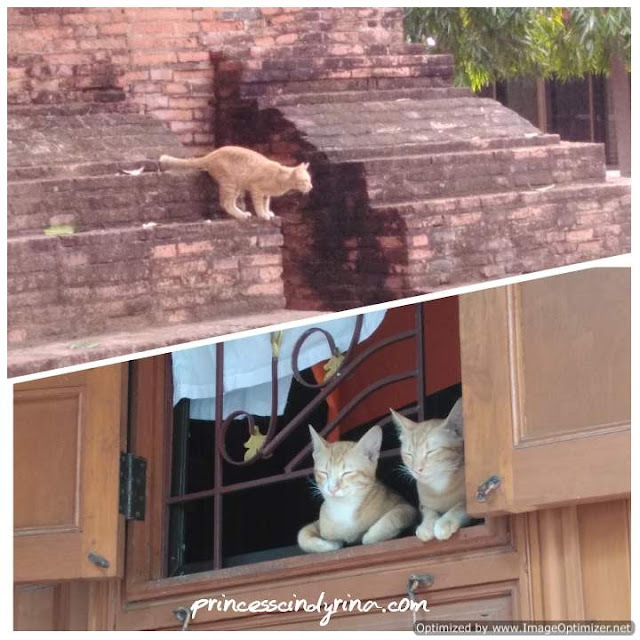 As I wanted to Kill Two Birds with One Stone (Poor Birdies) I end up detour to Ayutthaya on the way to the City of Bangkok. 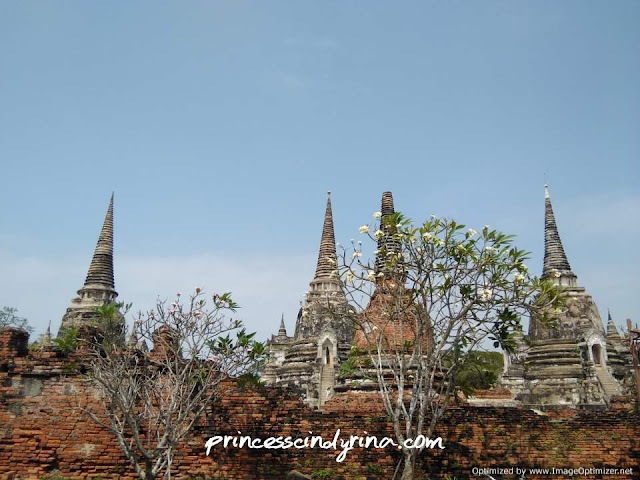 Ayutthaya is must visit place for those who love the historical kind of sightseeing. I would say this place is a hidden archeological gem for Thailand. Same like Bagan, Myanmar which I visited few years back. 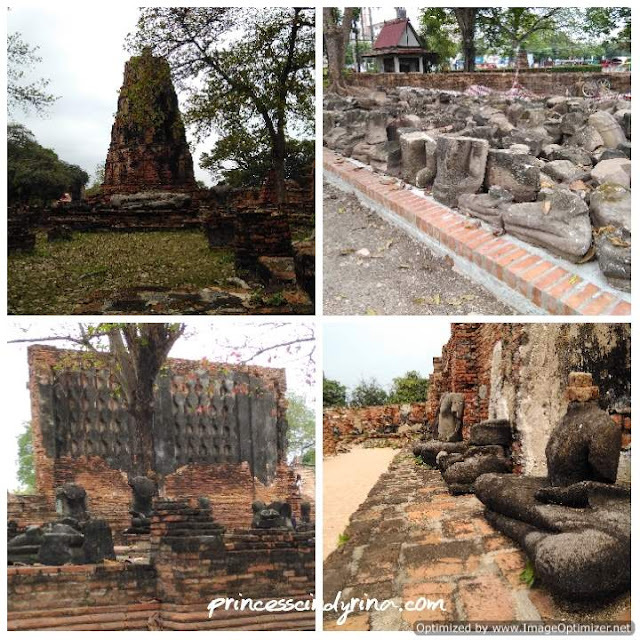 Ayutthaya brimming with Buddhist temples, monasteries and ancient statues. Some even dating back to 1350. Not as old as Bagan and this place kind of small scales. 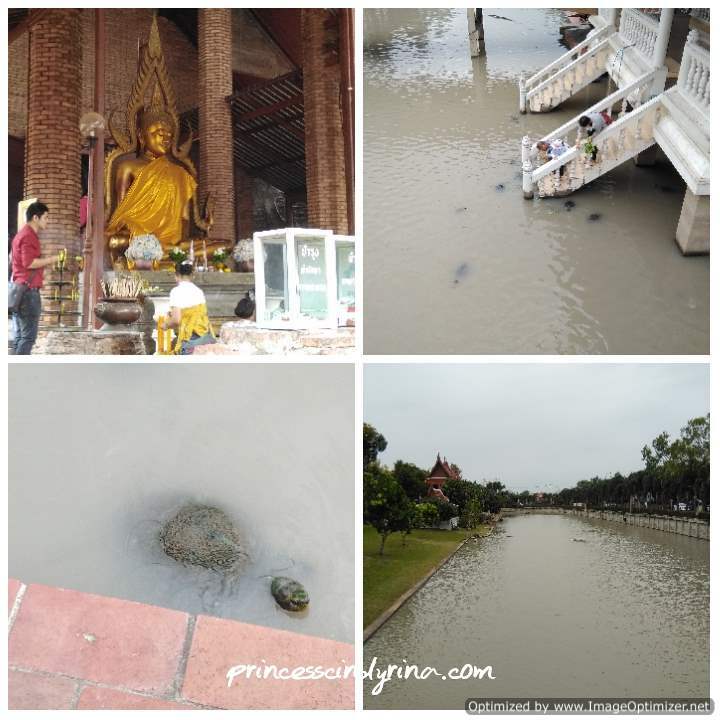 Ayutthaya has gone through glory and strife stages. This place is also a UNESCO World Heritage city which is worth for sightseeing. I had chance wandering around the ancient ruined! I wish to rent bicycle and stay around this place. This 14th Century temple full with towering chedi. This place is still active and there are monks still living at this place. Very touristy area plus many local come for praying too. This place was largely destroyed too during the Burmese invasion. That stairway on the East side leads up to the entrance of the 60 meter tall bell shaped chedi. The visitors who climb up can find the small chamber with several images of the Buddha covered with gold leaf . I just walk away from the crowd. I found less hot place. The cats within this place kind of their own funny character., I just sat and keep on watching them from far. Especially this 2 cats. Aren't they look solemn by the window? Its kind of funny pose...but hey they just don't bother even when I was shooting my lens towards them. kekekeke...kawaiiii!!! They just don't bother me even when I was waving at them. Annyeonggggg!!! This is found within the complex and one can make some offering for prayers too. Like I said this place is active and many devotees visit this place. 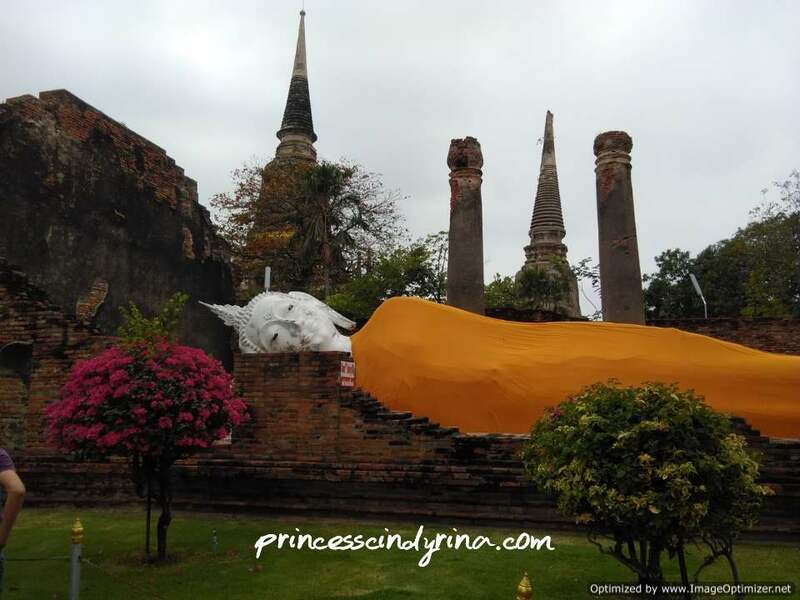 At the North East corner of the grounds are reclining Buddha image. A yellow cloth is draped around the huge image that faces East towards rising sun. I was told the Buddha image was restored in year 1965. This place located at the center of Ayutthaya. This place kind a symbolic center where the Buddha's relics were enshrined and also the residence of the Supreme Patriarch Thai Buddhist monks. It believe to be built during 14th century A.D (the early Ayutthaya period). 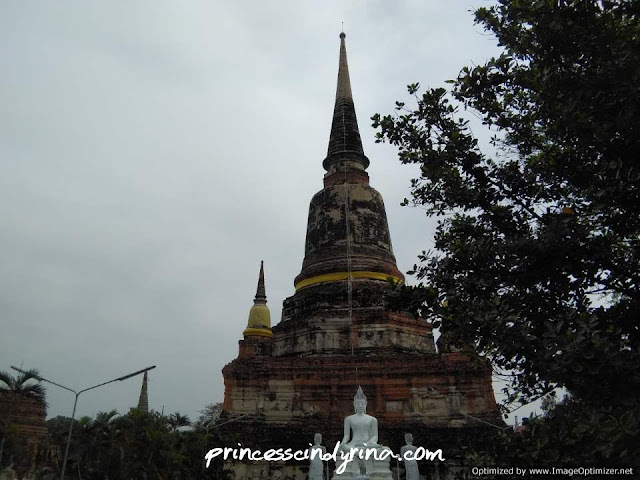 It collapse during the Ayutthaya period and then restored. Subsequently in 1911 it collapsed again. Its easy to spot this place. You will see many tourist pose selfie here. This place also know as the most photographed spots in Ayutthaya. 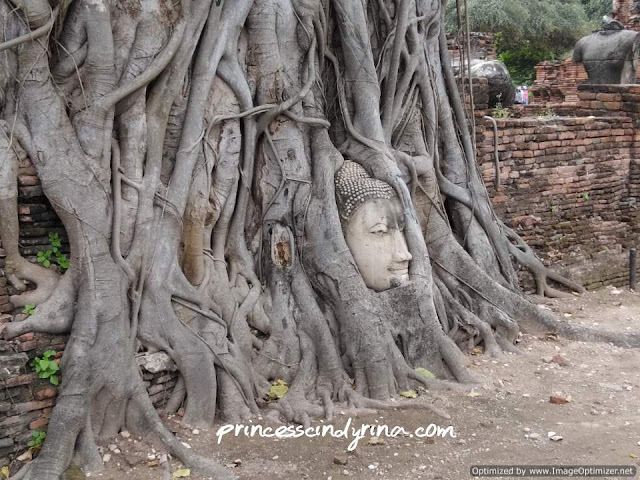 If you walk closer to the area , you will find the large stone Buddha head set in a colossal and deep-rooted tree. It remain mystery on how the head became locked in between of the roots. Many make assumption that this is linked to flood and destruction many centuries back then and some even linked it to some legend. 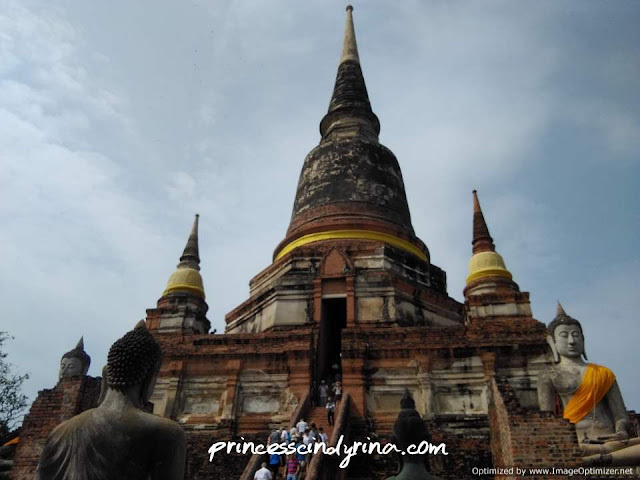 The legend of Wat Phra Mahthat is about two brothers fighting for the throne as King of Siam. The brother who won the throne built the palace with all the Buddha statues as an honor to his brother. Many believe the head in the tree is from one of these status and thought this is sort of eerie replica of defeated brother. This is just a legend told by most tour guides here and nobody verify the truth of this story. I love walking around this place away from other tourist. This place kind of give me peace of mind. Historical place totally my style. I feel like I am a romantic type while wandering around this place. The driver brought me to visit the Golden Buddha but that place was closed during my visit. I end up took a stroll around those place. I found this place right beside the Golden Buddha place but don't have the mood to go in for a visit. My leg too tired and all I want is to take afternoon nap. Plus I need to pay for entrance fees and the staircase is too high for my bad knee. I was like...haihhhh...where is my driver ??? 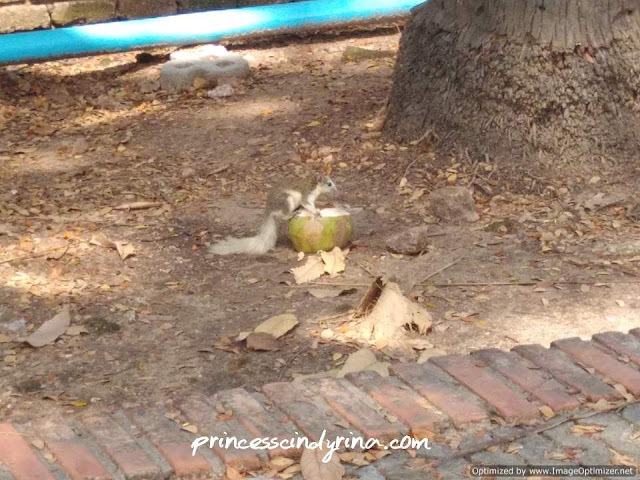 Even the squirrel found some coconut to drink. I can't even find coconut drink seller. I found my driver outside the gate. 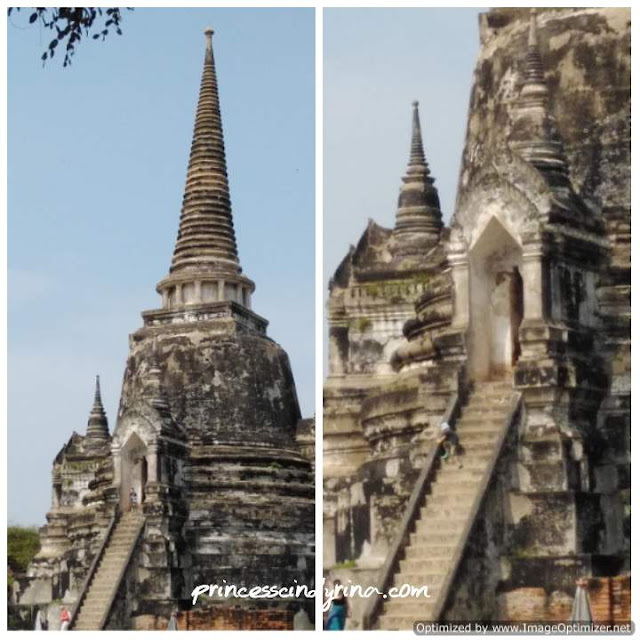 This is how my Ayutthaya tour abruptly ended due to me... lazy to walk around. huwahahahaha... I just wanna go for shopping at Pratunam! Save energy for shopping spree! Wahhh this is interesting. Would love to explore Thailand one day. I'm really interested in their old buildings and historical remnants architecture. Fascinating to look and the history must be intriguing as well! 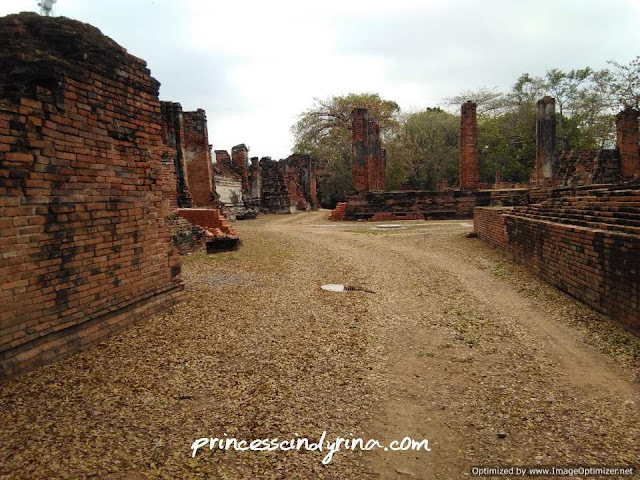 Thailand got most hidden archeological gem. My wishlist want to visit the precious archeological gem. Will be in my next travelogue. Wow great! I am going to hatyai next 2 weeks. My 2nd visit to Thailand. Love their food and culture. Hope one day can proceed to Bangkok. Too many good place in thailand..so far bangkok still in my wishlist..i went to chiangmai already and wish to visit other place including bangkok..scary la muka org kat pokok tu..seram..
Thailand actually one of the place i want to visit. Love the architecture and the foods of course..
Alaaa bestnyer kak pergi sini. saya teringin jugak nak berjalan ana sini tapi itulah, kena cari masa yang sesuai pula. Dahla haritu trip saya ke China pun ikut iti akak je. Cindy, did u drive there or take private tour? Macam rare and best je tempat you pergi melawat. Wow! Such amazing gem in thailand.. I haven't get to visit this place yet.. Should really consider..
Impress with your journey. The place that you explore, I never know such a beautiful places. Next time, travel will seek your advice. What a beautiful place. I like that you never rush through your holiday. I love the pointy architecture. It's amazing what people built in olden times!